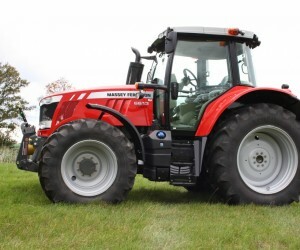 Massey Ferguson, a worldwide brand of AGCO (NYSE:AGCO) (www.AGCOcorp.com), reports that its recently-launched MF 300 Xtra tractors with exclusive features and comprehensive after-sales support are now available to purchase new exclusively through the official MF Dealer Network. This range of 50-85hp multi-purpose, entry-level tractors was unveiled earlier this year at the US-Africa Business Summit in Addis Ababa, Ethiopia. Other key elements in the MF support infrastructure are the Future Farm and Training Centre located in Zambia and a Parts Distribution Centre and Mechanisation Training Centre based in South Africa which are operated by Massey Ferguson’s parent Company, AGCO. The MF 300 Xtra strengthens Massey Ferguson’s position in the lower horsepower sector and offers a broader choice to farmers looking for a rugged and reliable general-purpose machine. To complement the new tractor models, a new line of Massey Ferguson-branded implements is available including disc harrows, fixed-disc ploughs, subsoilers, planters, trailers and a transport box. Again, these are only offered through the official MF Distribution Network. Featuring low cost of ownership, easy servicing and maintenance, the MF 300 Xtra Series range consists of six models. Initially three models were released - the 50hp MF 345 Xtra two-wheel-drive (2WD), 75hp MF 375 Xtra (2WD) and 85hp MF 385 Xtra (2WD and 4WD). The longer wheelbase 50hp MF 350 Xtra (2WD), 60hp MF 355 Xtra (2WD) and 60hp MF 360 Xtra (2WD) are also now available. Fuel-efficient power comes from 3-cylinder AD 3.152 and 4-cylinder 4.41 diesel engines. The well-proven mechanical transmission offers four gears in two ranges to provide eight forward and two reverse speeds. The MF 300 Xtra tractors are offered with sun canopy, front weights, drawbar and trailer tipping pipe – a unique package of features exclusive to this new range. All models are available in footstep configuration, while the spacious operator’s environment is equipped with a spring-suspension deluxe seat. 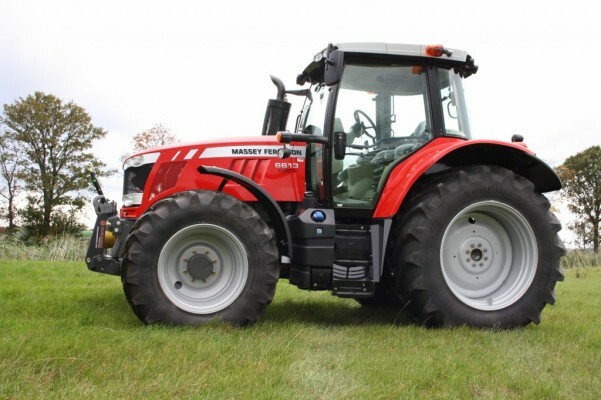 “Massey Ferguson and its accredited MF Distribution Network have the tools, the technical knowledge, the specialist programmes, the logistics and the right people to offer world-class support. This is what creates the bond of trust with owners and operators, and is a position we strongly guard in the interests of our customers and their farming operations,” remarks Thierry Lhotte. Distributed by APO on behalf of AGCO Corporation.